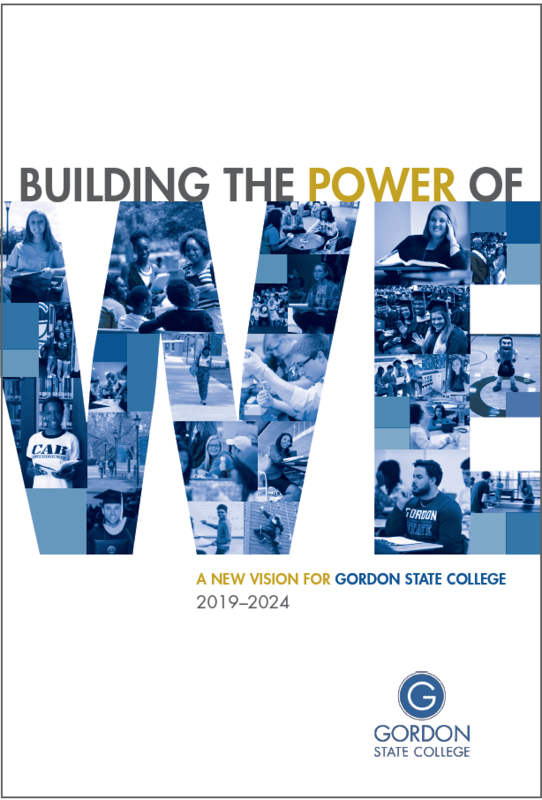 Gordon State College will be a leader and primary educational partner in elevating our region’s economic prosperity and educational attainment through collaboration, integrated educational experiences, and a vibrant campus culture. To be a catalyst for exceptional and accessible education through innovative teaching, engaged learning, and transformative experiences for the benefit of our students, the communities we serve, and the world we live in. Student Focused - Placing students at the heart of everything we do through accessible education, personalized resources, and engaged communities. Life-Long Learning/Scholarship - Empowering and promoting academic rigor, professional development, and personal growth that results in ethical and honest life-long critical inquiry with a global perspective. Excellence - Fostering excellence through rigorous and innovative experiences driven by the institution’s mission of delivering quality programs, services, and education. Respect - Cultivating an atmosphere that promotes integrity and embraces diversity, where all are valued and included regardless of economic, social, religious, or political background. Collaboration - Promoting a culture of collaboration where meaningful relationships between faculty, staff, students, and the community are formed in an environment of transparency with high expectations of excellence for professionalism and service.